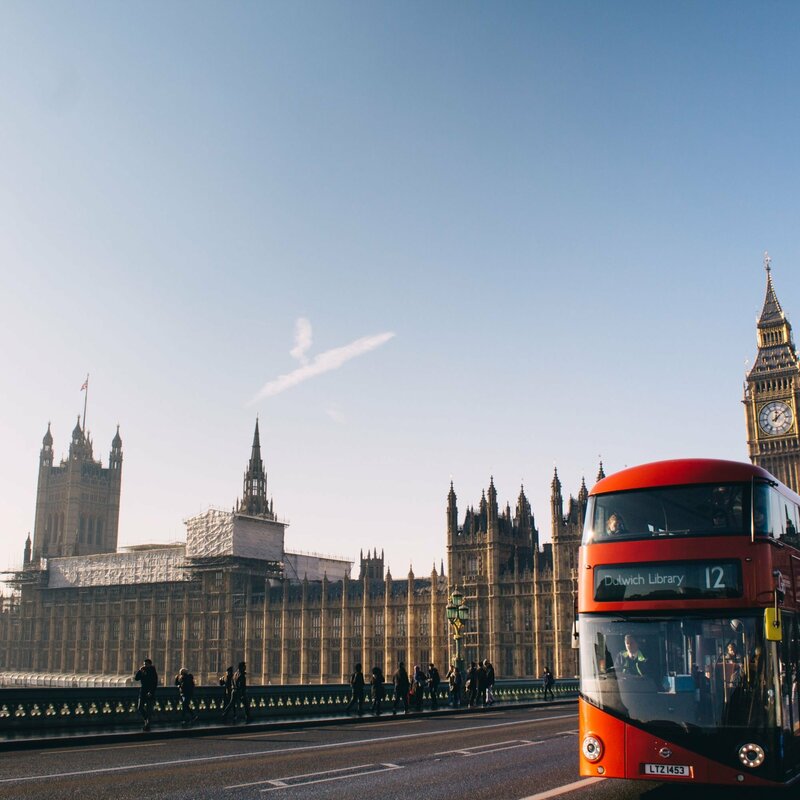 Why are Legal English events important? I’m always eager to find out about Legal English conferences and workshops happening around the world. Why? These events are an excellent way to update your professional skills and get the latest info about teaching Legal English. Often I come away from events feeling inspired to try something new in my Legal English classes, having learnt about a new resource or teaching method from a fellow ‘Legal Englisher’. 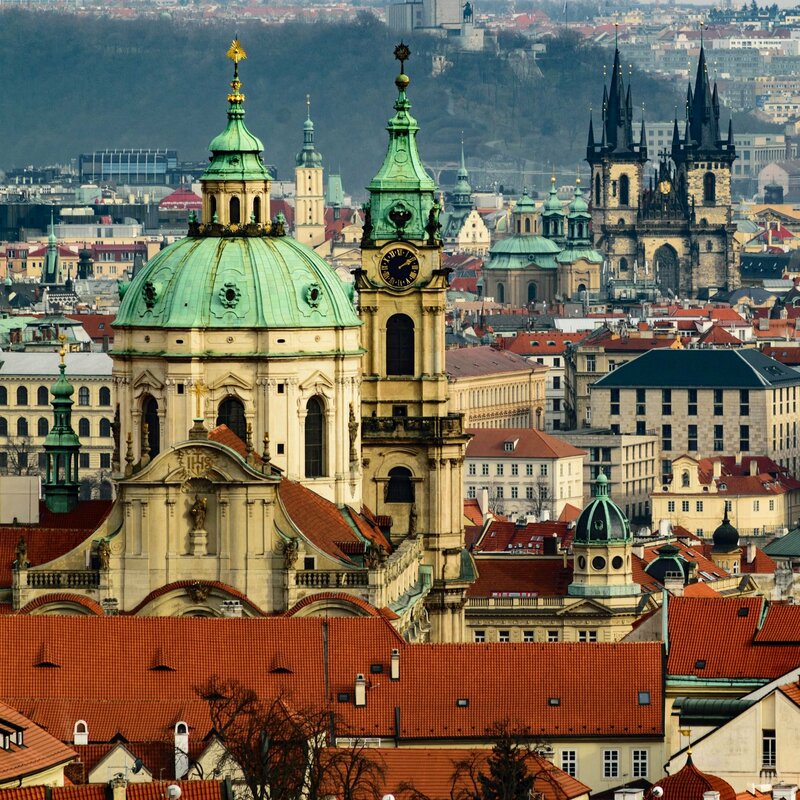 I love to travel and these events often give you the chance to see a new city, experience a new culture and sample some tasty authentic local cuisine. I always try to stop a day or two longer after a conference or workshop for a working holiday and often combine a city tour with meeting someone to interview for the Study Legal English Podcast. They’re a great way to make new connections and aside from networking at the conference or workshop itself, there are often chances to socialise in a more relaxed environment and make some long lasting friendships as well as connections who you can call on when you have a Legal English question. 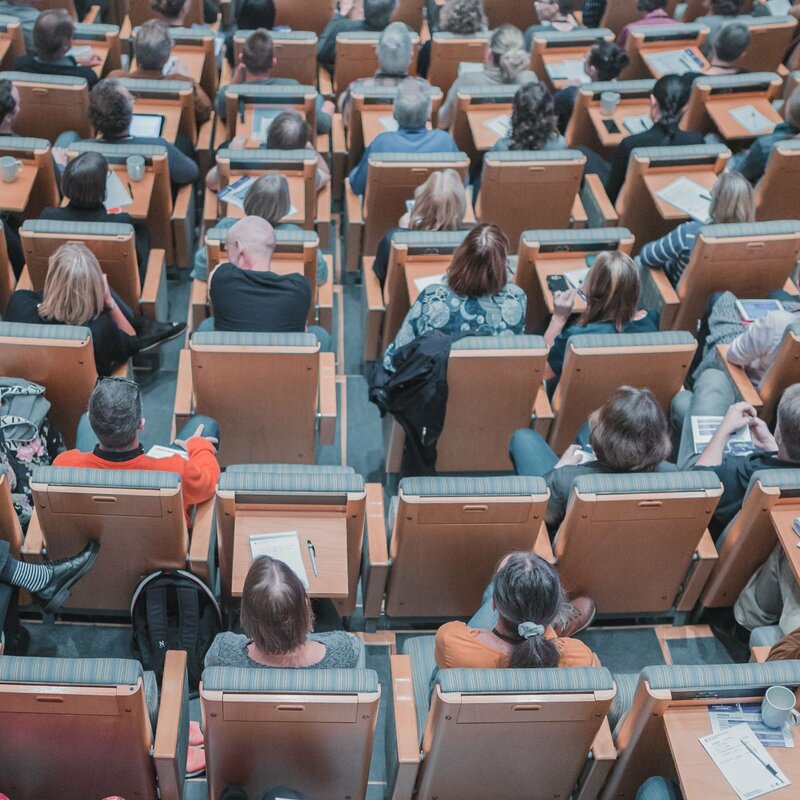 The problem is, it can be a pain to find out about Legal English events – and if you’re not careful you can spend hours trawling the internet searching for your next conference hit. Many independent Legal English teachers lack the colleague interaction that our fellow Legal English university professors get, and therefore we might miss some events which are otherwise spread by word of mouth. Worry, you need not, my Legal English friend – there are indeed a number of ways to stay informed about Legal English events, previously I’ve mentioned a few ways in this blog post about ‘How Legal English Teachers can Stay Up To Date‘. 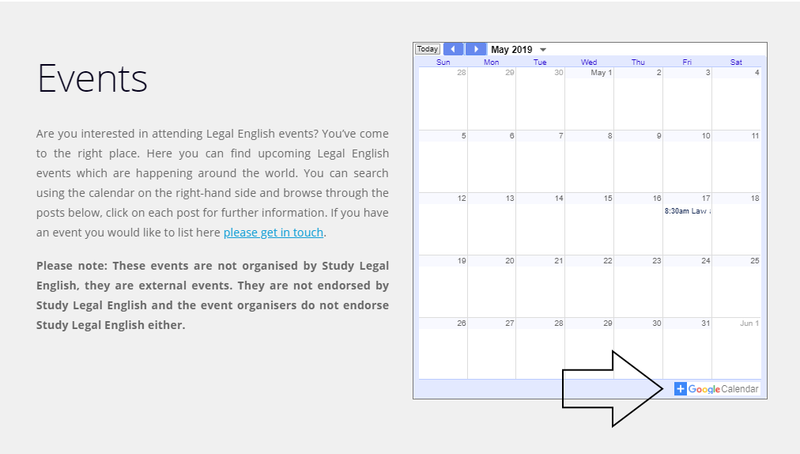 Here I just want to highlight some ways you can use the Study Legal English events page to stay informed. 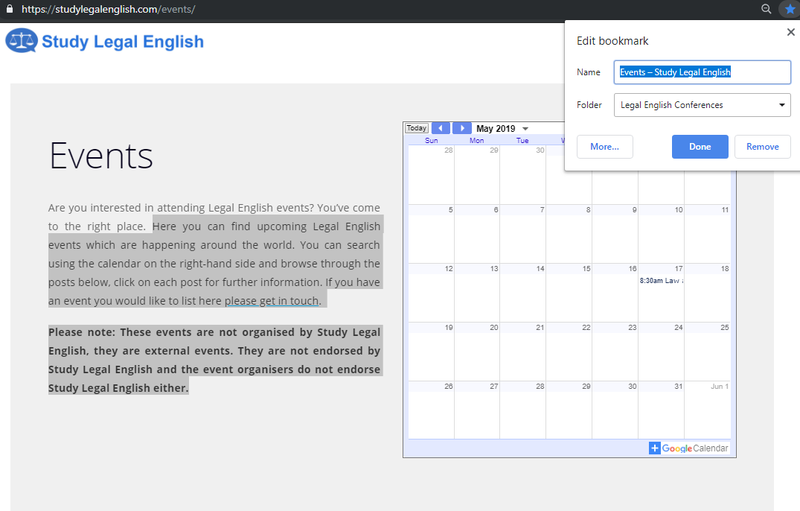 On the Study Legal English event page you can find upcoming Legal English events which are happening around the world. These events are not organised by Study Legal English, they are external events. I try to keep this up-to-date and welcome you to send me information about forthcoming events to add to this page. Highlight the URL at the top of the page and click ‘Ctrl+D’ on your keyboard. Choose the bookmark folder you would like to save it under and click done. (See the picture below). 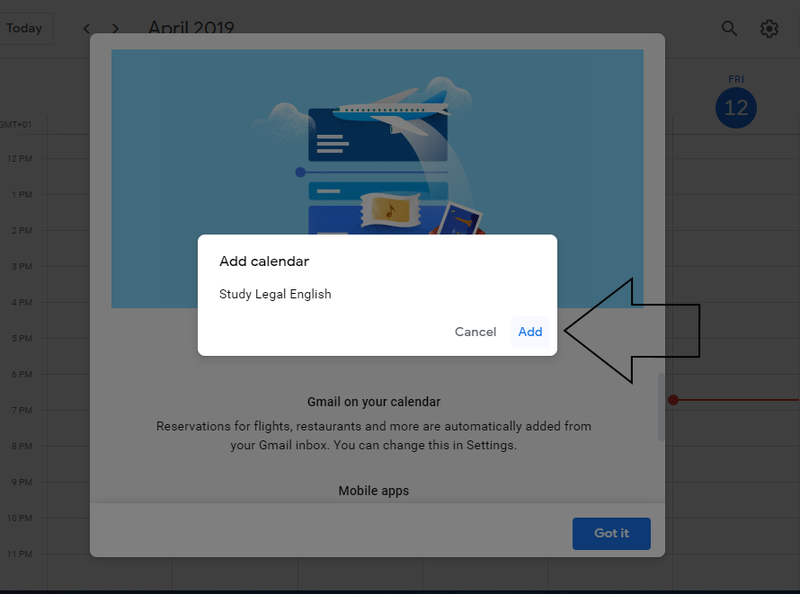 You can view the Study Legal English Events calendar in your own Google Calendar by adding this calendar using the steps below. Click the add button on the calendar on the events page as in the image below. 2. Sign-in to your Gmail and click ‘add’ when prompted as in the image below. All done! Now any additions to the calendar will automatically appear in your calendar.